Happy New Year everyone! Did you miss me, your friendly blogger from Handmade Jewelry Club? I missed everyone! I took some time off for awhile and spent it with family. Well, that is what the Holidays are about, but now it’s back to work again. 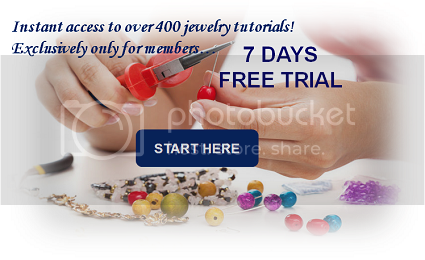 For my first post this year, I’ll be sharing free beading tutorials with Tila beads. Tila beads are also flat and so they are great for making leather wrapped bracelet like Chan Lu bracelets. Tila beads are also great for making cuff bracelets! You can also create circular components with Tila beads. Use them as pendants, earrings or link and create bracelets and necklaces! There are so many designs you can do with Tila beads. Explore your creativity and don’t be afraid to try and try, stitch, weave and create. Hope you like my first sharing of the year:) You can find more Tila Beads patterns HERE. Ciao for now!